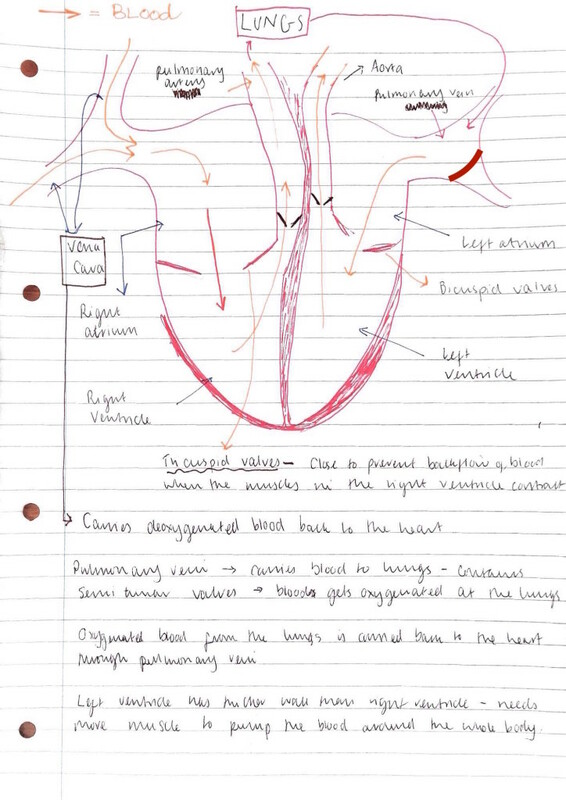 I set my iGCSE Biology student homework on the ‘Gross Structure Of The Heart’ – She came up with this amazing diagram showing the vertical cross-section of heart. Though simplistic I really liked her effort to draw it as neatly as possible and also labelling it clearly. At iGCSE level it has all the important information needed. 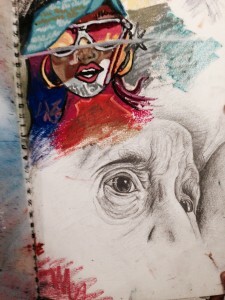 Alongside her biology, her artwork also impresses me a lot. 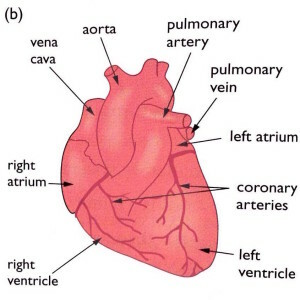 2.63 Describe the structure of the heart ? Ans: Student’s should learn to label the vertical and external view of the heart (B) and also the brief outline of the flow of blood in the heart (A). Deoxygenated blood enters the heart via vena cava (inferior and superior) and drains into the right atrium of the heart.The contraction of the right atrium pushes the blood into the right ventricle through tricuspid valves. The contraction of ventricles pushes the blood into the pulmonary artery through the semi-lunar valves where the blood is oxygenated (a process known as gas exchange). The oxygenated blood returns to the heart via pulmonary vein and drains into the left atrium of the heart. The blood is then pushed into the left ventricles by the contraction of left atrium. 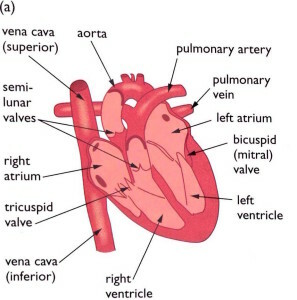 The contraction of left ventricle pushes the blood through the semi-lunar valve in Aorta to the rest of the body. 1. Superior and Inferior vena cava. 3. 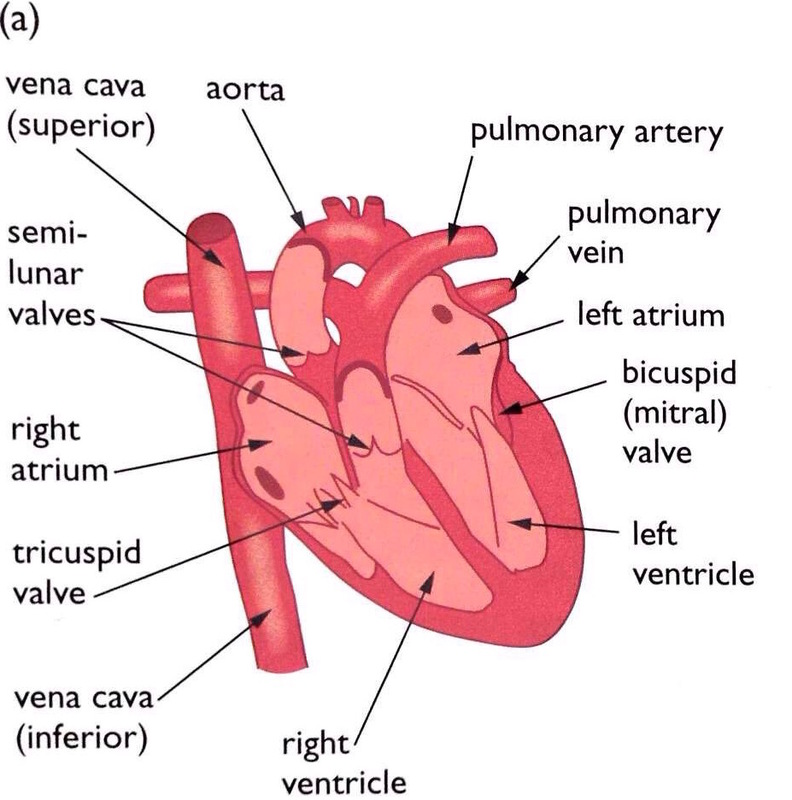 Atrioventricular Valves (Bicuspid & Tricuspid valves).